A recent high-profile incident involving an allegedly forced marriage in Chechnya has prompted many Russians to wonder why the laws and norms of a secular state are so blatantly violated. But the situation for the region’s women has been deteriorating for several years, with Chechen leader Ramzan Kadyrov openly supporting “traditional” customs such as honor killings, despite the fact that such practices are illegal under Russian law. The story drew attention to the situation with women’s rights in some Russian republics in the North Caucasus, which many human rights activists warn is deteriorating. According to Yekaterina Sokiryanskaya from the International Crisis Group, forced marriages are a completely new issue for Chechnya. “This has nothing to do with traditions. For Chechen families, forcing a woman into marriage was considered to be a disgrace. However, now, according to local activists, law-enforcement officers and officials are taking advantage of their position,” she explained. 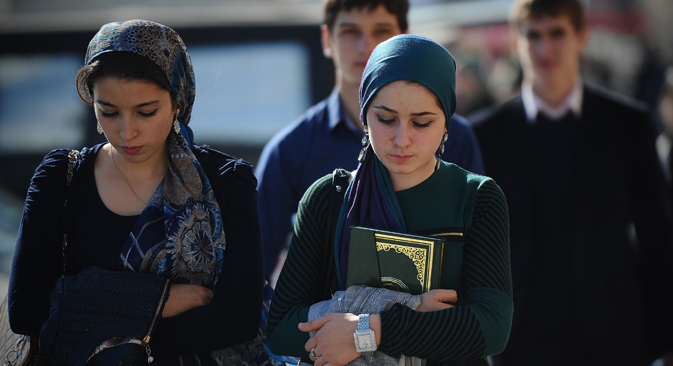 Read more: What is it like to be a Muslim in Russia?